Surface temperature should be between 50 and 90 degrees Fahrenheit before attempting the installation. As a general rule, if the surface is hot to the touch it's over 90 degrees Fahrenheit. Adhesive becomes brittle when it gets too cold and gummy when it gets too hot. Applications outside the recommended range of 50 to 90 degrees Fahrenheit reduce the adhesives' ability to perform. All surfaces are contaminated to some degree. To ensure good adhesion to any vehicle surface, it is critical that you follow these recommended procedures in decontaminating and preparing the surface prior to any vinyl product installation. A clean, lint free towel or cloth must be used between each of the cleaning steps to prevent cross-contamination. Remove heavy road grime or tar using our Rapid Prep cleaning solution. When a silicone substance or residue is suspected, wash and rinse the contaminated area with liquid dish detergent and warm water. Dry the surface with a clean, lint free towel or cloth. After the detergent wash simply finish the process by wiping down the entire area with our Rapid Tac or Rapid Tac II application fluid. Again use a clean, lint-free towel or cloth. 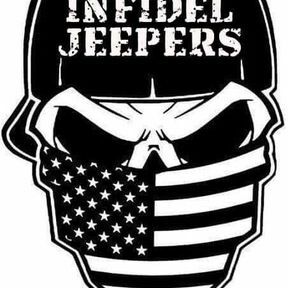 MISSION STATEMENT: INFIDEL JEEPERS CLUB'S MISSION IS TO OFFER IT'S MEMBERS A VARIETY OF EVENTS TO PARTICIPATE IN. THESE EVENTS RANGE FROM OFF-ROAD ADVENTURES, TRAINING COURSES, TECHNICAL ADVICE, MEET AND GREETS AND SUPPORT OF MANY OTHER OFF-ROAD EVENTS. 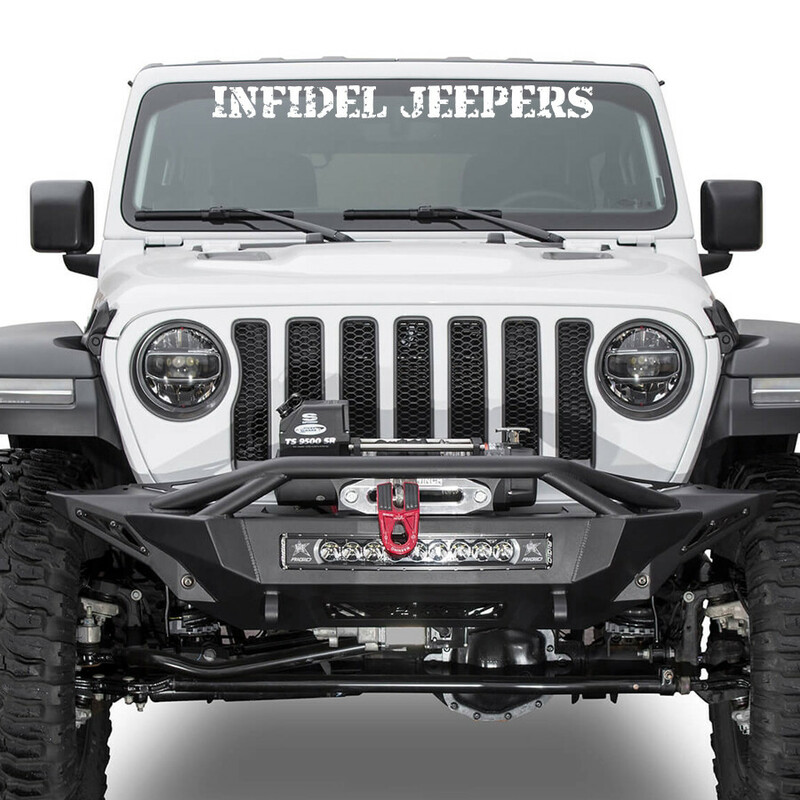 INFIDEL JEEPERS WILL CATER TO ALL JEEPS RANGING FROM STOCK TO HEAVILY MODIFIED. PREFERENTIAL TREATMENT WILL BE FOR OUR VETERANS, LAW ENFORCEMENT AND FIRST RESPONDERS, BOTH ACTIVE DUTY AND RETIRED. WE ARE PROUD AMERICANS WHO HOLD ALL OF THESE PEOPLE IN THE HIGHEST REGARD DUE TO THE SACRIFICIES THEY HAVE MADE AND CONTINUE TO MAKE TO KEEP OUR COUNTRY STRONG.